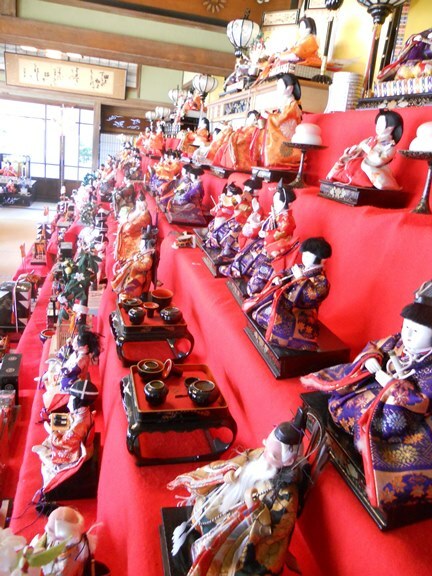 Last week, after tennis, I went on a walk around town looking at Japanese hina dolls. This week, since I had some time to kill, I continued my search, along with my quest for free amazake (a sweet Japanese rice wine). 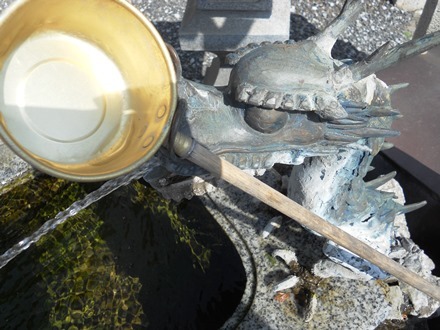 My first stop was a small shrine, where I found this dragon. 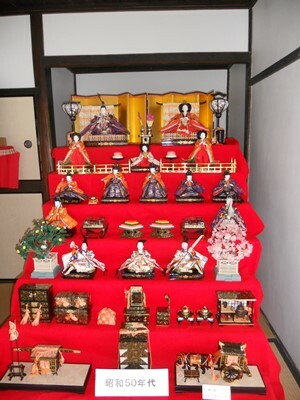 Actually, it has no connection to Hina Matsuri, but I thought it made a nice picture, so here you are. My first official Hina Matsuri stop for the day was Buyoukan, a place where samurai used to live back in the Edo Period. The next place on my pilgrimage was the city library. Pictures weren’t allowed inside the library, and, to be honest, there weren’t that many dolls. Thus, I moved on to the city hall. 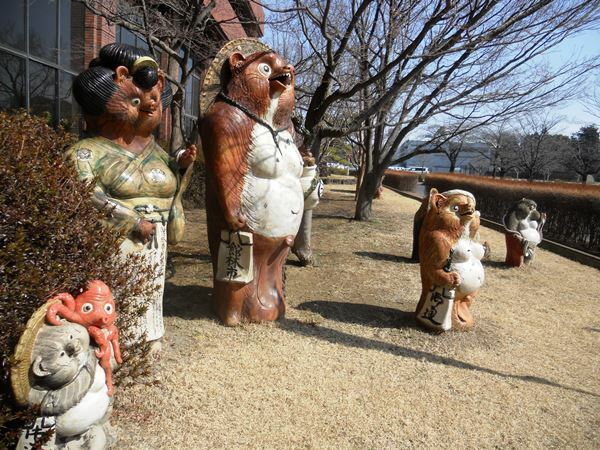 However, since the city hall seemed to be closed, I just took a picture of the tanuki (Japanese raccoon dog) statues outside. A whole, rather silly-looking family of them was planted in front of the city hall. On the way, to my next stop, I spotted what I thought were cherry blossoms. 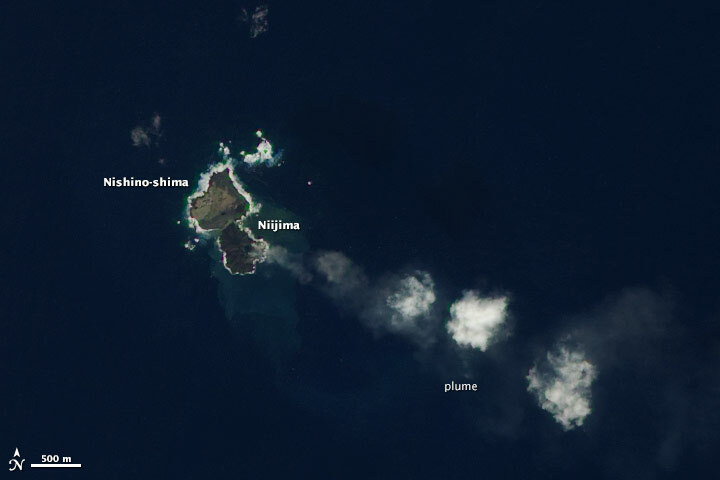 I was mistaken: they were plum blossoms! 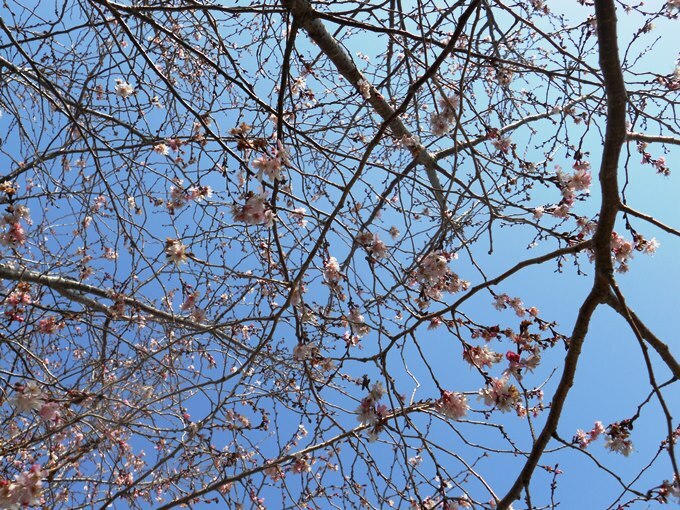 While sakura are quite lovely, part of me thinks that plum blossoms may have them beat. After walking about another thirty minutes, I finally, finally reached a visitor-center-type place. I probably wouldn’t have gone so far, but if you didn’t visit this place, you wouldn’t receive free amazake. I really wanted free amazake. Speaking of free things, at the visitor center, I got some free herb tea. I was overjoyed, because it was free, although at the same time, I really don’t like herb tea. To explain, if you put the word “free” in front of anything, I will in fact happily take it. Free bee stings, free cat fur (I’m allergic). Then began the long, arduous walk to retrieve my free amazake. 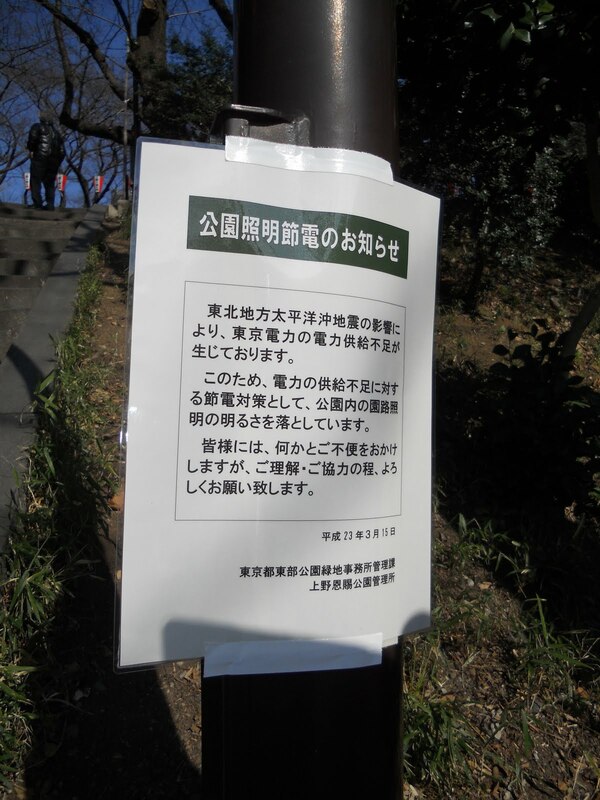 The building was a villa built for a daimyo (feudal lord) back in the Meiji Era. The pamphlet I was carrying said that about 900 dolls were housed in this villa, and I definitely believe it. 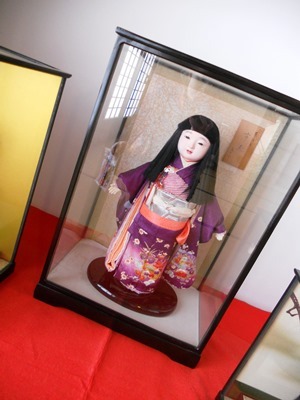 You could see dolls from the Meiji Era all the way up to the current Heisei Period. A lot of families with their young daughters had come to look at the dolls. 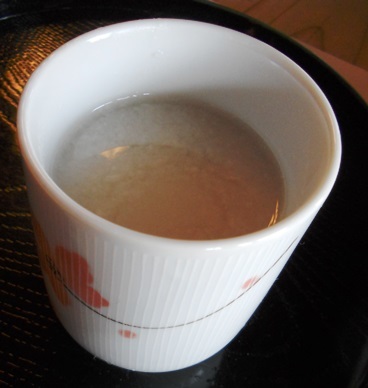 The first thing I did was find someone to give me free amazake.